After 2 decades of wondering, worrying, and waiting, Alfa Romeo has finally returned to U.S. shores, and it’s just as quirky and beautiful as you remember. Gorgeous Italian lines, a punchy little turbo 4-cylinder and for a touch of the new, a carbon-fiber tub with aluminum subframes. Yum! But let’s set rose-colored lenses aside for a bit and view with some fresh specs. First of all, the 4C is just as stunning as you’d expect. They simply don’t make enough cars today that are this attractive. Of course, the reasons for this are obvious. After years of regulation and refinement and safety concerns, aesthetics take a back seat far too often. Thankfully there is no back seat in the 4C, but there are still some sacrifices with a vehicle this pretty. Rear visibility? Not so much. Ease of entry? Don’t count on it. Hidden safety features? Nope. But this is a car for drivers, right? Almost. Getting the major complaint out of the way up front, there’s no manual. Alfa claims that stuffing all the tech needed to adapt a traditional transmission to the transverse-mounted transaxle would’ve resulted in a less-than-pleasant shifting experience. That stinks of excuse. Instead we get a dual-clutch transmission from a Dodge Dart, which sounds anything but pleasant. In reality, it seems to do the job just fine, but satisfying doesn’t come to mind. Yes, the autobox is faster than a manual would be, but is speed really the most important aspect here? The 4C is hardly the fastest on the block, quick as it is. With a car like this, the driving experience is paramount, and as impressive as automated manuals have become, drivers still prefer three pedals. What makes it more frustrating is that the steering rack is a manual operation. Some have chided it for feeling a bit too numb in the center and for getting jittery on the edge, but the former I suspect will be fixed with the first update, and the latter is something we used to call feedback. After all, a midengine beast is a different animal to wrangle altogether. We’ve been isolated from the actual experience of driving for far too long, methinks, and I’m curious to see how this will change in the upcoming iterations of the 4C. Likewise the complaints of too many hard plastics spoiling the interior is something I believe (hope?) will be addressed after Alfa finishes lowering itself into the tepid bathwater of the American sports car enthusiast market. The 4C isn’t begging to pull double-duty as a commuter or a grand tourer. It wants you to go out, find the nearest bit of twisties and spend a weekend learning all its strengths and weaknesses. And don’t listen to the naysayers who lament the extra weight it needed to pack on in order to land on our shores. Alfa got a safety exemption in Europe that won’t last, and even with the added air conditioning, radio, and airbags in the U.S. version, the little turbocharged, 237-hp, 1.8-liter engine still manages to pump out 1 hp for every 10.3 pounds, slotting it nicely in between the power-to-weight ratios of the Cayman and Cayman S. Besides, no one has ever called a sub-2,500-pound car portly, and some testers have been claiming the added weight and the subsequent suspension tuning done to the double-wishbone front and MacPherson strut rear have actually improved the ride. Take that, Europe. To herald its U.S. return, Alfa is sending 500 “Launch Edition” cars with an inflated sticker price and some extra goodies like bi-xenon headlights, LED running lights, a sport exhaust, larger wheels and special trim. They won’t be easy to get ahold of, but early reports have seen testers claiming that the larger staggered 18-inch front and 19-inch rear wheels actually hamper the ride and response over the standard 17/18-inch units, while the special sport exhaust does exactly what you’d expect from putting a megaphone on an inline 4-cylinder. Seems like the cheaper version might actually be the better buy, not that you’ll likely have the option. In all, it’s just what we’d hope from Alfa’s return—a unique, sometimes frustrating and always beautiful car, except for those damned plastics, that’s arguably one of the best-looking vehicles on the road. For now they can get away with the sticker price based partially on nostalgia, partially on rarity and partially on unique tech. As the carbon chassis and Alfas in general become more common, I wonder how that’ll change perceptions. But if you’ve been patiently counting the years until you could own an Alfa again, your time has come. Otherwise, it’s best to wait until some of the quirkier quirks are ironed out. Besides, that upcoming Spider is just too pretty to pass up. 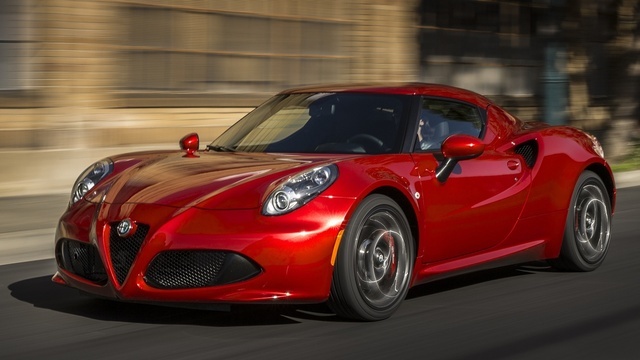 What's your take on the 2015 Alfa Romeo 4C? 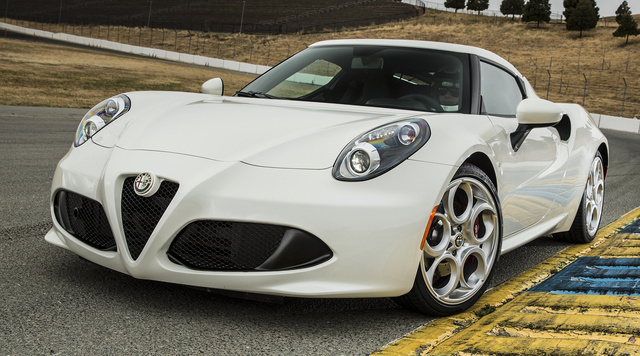 Have you driven a 2015 Alfa Romeo 4C?